Middlesbrough vs Millwall predictions ahead of this Championship clash on Saturday. Can the visitors secure a shock away win? Read on for our match preview and free betting tips. Middlesbrough have a five-point lead over Bristol City, as they look to hunt down a place in the Premier League. We picked them out as top six finishers earlier this month, and they are looking good to achieve that already. They are out to continue their push for the play-offs. Millwall are the visitors to the Riverside this weekend, and they come here fifth from the bottom, sitting in trouble in the fight for survival. They recently had a winning run brought to an end, but can the visitors leap back into form here? Middlesbrough are in good form themselves, as they come here on the back of a win. They edged out Birmingham at St Andrew’s last weekend, while they go chasing another victory when they host Millwall. Earlier this season they claimed a 2-2 draw in the reverse fixture, which looked like a good result in August after Millwall’s push for the top six last season. With the club down in 20th now, it seems like two points dropped. Will Tony Pulis and co. make the same mistake again? Millwall head here after a 2-0 loss to Blackburn last time out. That ended a four-game winning run for the visitors, who had edged out of the drop zone with that streak. They’re now five points clear of the bottom three, but things could go wrong for them pretty quickly. It’s been a tough campaign for Millwall, a world away from the great form which pushed them into play-off contention this time last year. The visitors have been left struggling after a terrible away record so far this term. They make this trip having picked up just 0.46 points per game on their travels. That’s a total of six, half of which they just earned with a narrow win at bottom side Ipswich. This is a markedly tougher challenge, and we don’t think that the visitors are going to raise their game to meet it. Millwall have lost nine of their last 13 away trips, while they’ve been beaten in back to back visits to this ground without scoring. They’ve failed to score in almost half their away matches, while conceding 1.92 per trip. 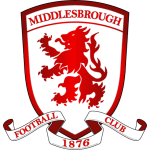 As they prepare to meet the league’s strongest attack, we think Middlesbrough have been well priced to boost their play-off push with three points. Millwall haven’t kept a clean sheet in any of their last 12 league matches against Middlesbrough (W4 D2 L6), drawing 2-2 on the opening day of this season. Middlesbrough striker Britt Assombalonga is looking to score in three consecutive matches in all competitions for the first time since November 2014, when he did so for Nottingham Forest. The last three Championship goals Millwall have conceded have been scored in the 89th, 86th and 87th minutes – they conceded in the 87th and 90th minute against Middlesbrough in August. Tony Pulis is unbeaten in his last nine matches against Millwall in all competitions (W4 D5 L0), since losing 1-3 in April 2003 as Stoke manager. 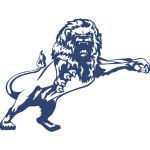 Millwall haven’t won consecutive away Championship matches since a six-game winning run between January and March 2018.